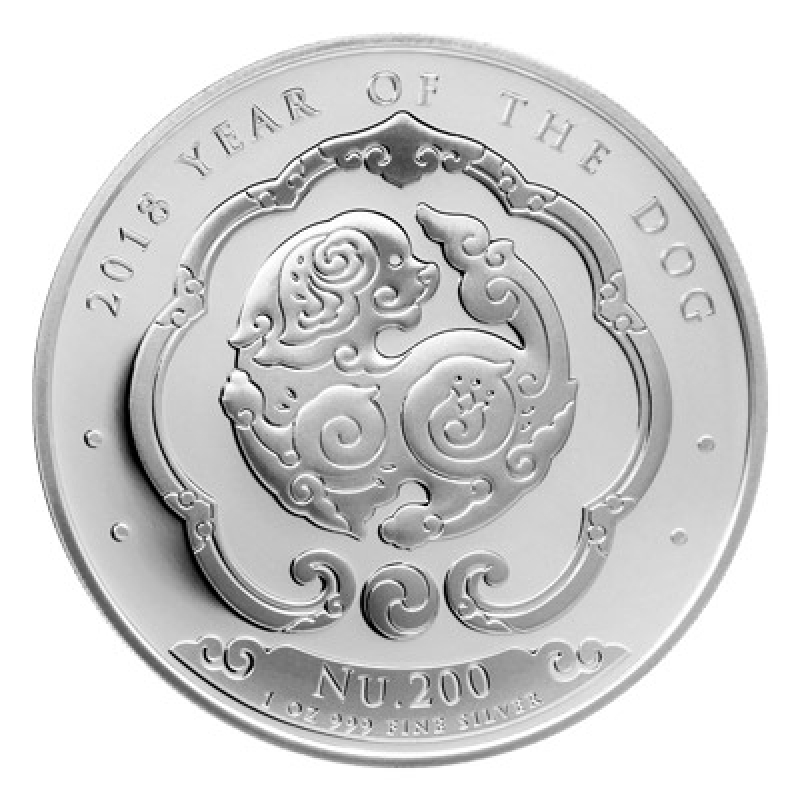 2018 Bhutan 1 Ounce Silver Coin Lunar Year of the Dog. These coins 31,1of grams of pure Silver are minted with a face value of Nu. 200.